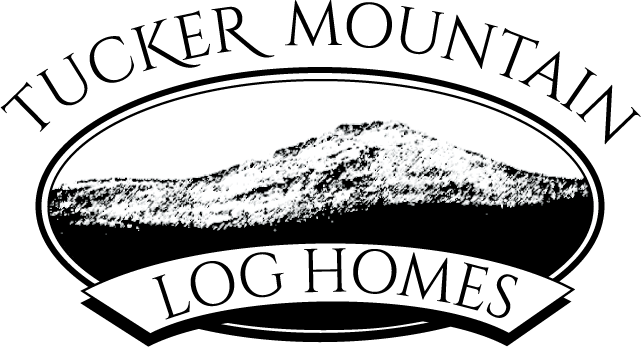 Tucker Mountain Log Homes | Custom log homes built in Maine. Living in a Tucker Mountain Log Home is like being on vacation every day! TWENTY-FIVE YEARS AGO, Judy and Cliff Albee started Tucker Mountain Log Homes in Sullivan, Maine. 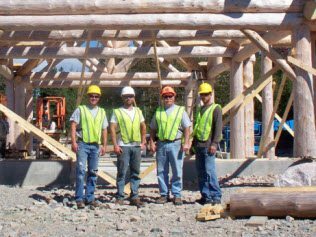 Our logsmiths and crew use chainsaws, chisels, and other hand tools to carve giant trees into custom hand-crafted log homes. We are as proud of the log homes we build as are our customers. 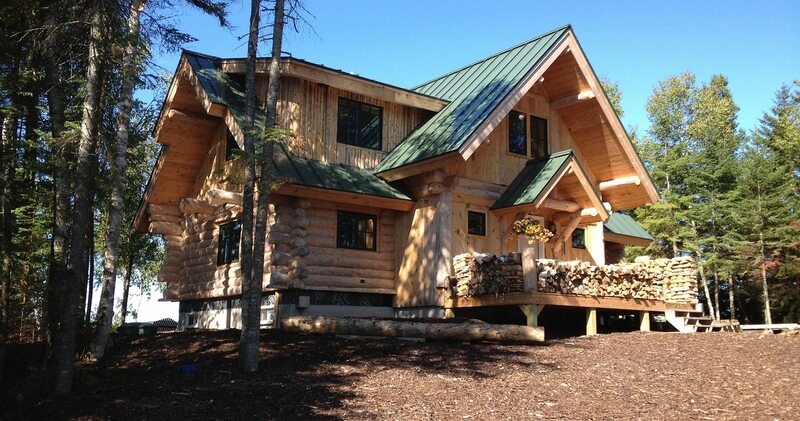 From day one, we have built each hand-crafted log home as if it were our own. 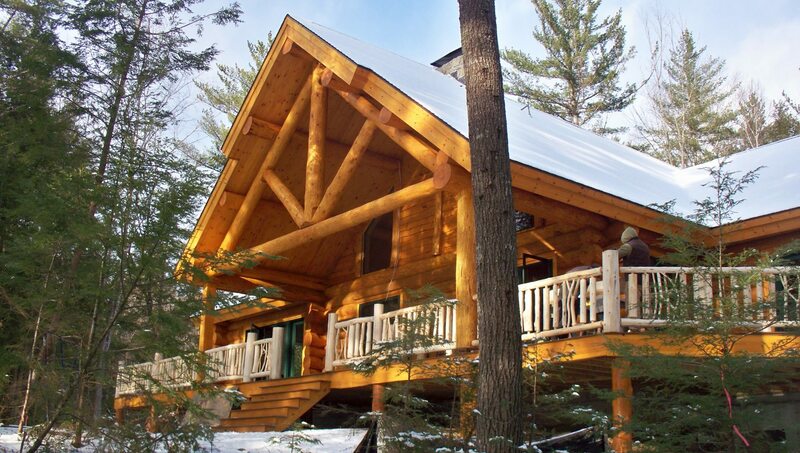 No other form of construction can match the charm and comfort of a hand-crafted log home. From the initial idea to the finishing details, we work with you to make your vision a reality. 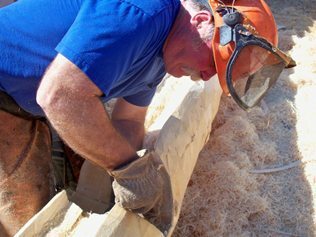 Our logsmiths and crew use chainsaws, chisels, and other hand tools to carve giant trees into custom hand-crafted log homes. Tucker Mountain Log Homes hand-picks each log to ensure high-quality workmanship throughout the entire construction process. Our work has earned national recognition. Still, we are small enough to give clients the individual attention necessary to turn their dreams into beautiful handcrafted log homes. Our process has a low impact on the environment: all our construction is done by hand tools, and all of the log is used (the cutouts are used to heat our office and the bark becomes bundles of kindling). We offer design services from our skilled architect that will deliver the custom details you want for your home. 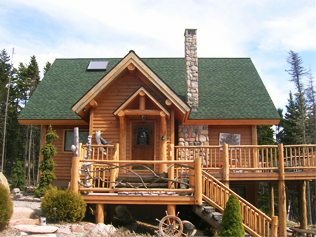 From the planning stages to the reconstruction of your hand-crafted log home, every detail receives complete, highly professional attention. From day one, we have built each hand-crafted log home as if it were our own. 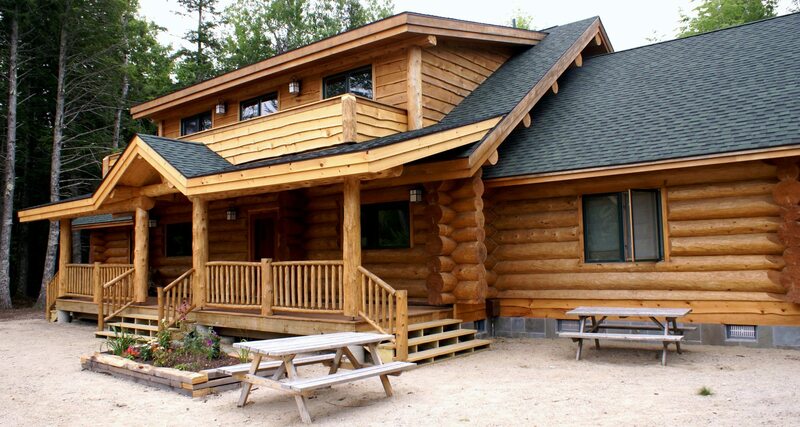 We love to talk about our log homes! Monday thru Friday. 8 a.m. to 4:30 p.m.